Wouldn’t it be wonderful to be eternally young? But if you keep your youth and beauty, if time and life does not leave its tell-tale traces upon your face with creases and stains, would you live your life differently? We would all like to believe that our personalities wouldn’t change but I don’t think that is very realistic. Dorian Gray is rich and beautiful. At only only eighteen he is fresh faced, innocent and charming. One day he sees his portrait and realises that he will not always look so beautiful. The idea of his portrait staying young while age slowly creeps up on him is so unbearable to him that he rashly wishes away his soul in exchange for eternal youth. 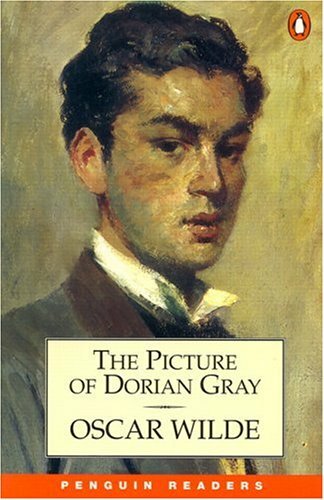 Through the years, Dorian Gray remains unchanged, while his portrait, hidden away in a dusty room, becomes a grotesquely bloated and contemptuous mirror image of Dorian’s soul. With his close friend, Lord Henry Wotton whispering in his ear and poisoning his mind with theories of age and beauty, Dorian turns into a greedy, selfish monster, intent on living a life of indulgence and pleasure. Safe in the knowledge that his sins will never show upon his face, Dorian manages to appear charming and youthful and believes he in invincible. His sins become wilder and he finds pleasure in watching his soul slowly decay. However, such a gluttonous and sinful lifestyle must have its consequences. Can Dorian really live with everything he has done? Or will his portrait haunt him and his conscience catch up with him? This is a wonderful book, grappling with interesting ideas of age, beauty and class. It’s a tragic story and often sinister. The monster that is Dorian Gray sends shivers down my spine. Oscar Wilde portrays the dark side of human nature brilliantly and shows how greed and vanity can take over your life. Ultimately a life full of pleasure is not necessarily a life full of happiness. If you want to try the book, click on the picture below. I agree – I love this book too. And you really must give his ‘fairy tales’ a try. I started off reading his plays and then his short stories. I wish he’d written more novels though. Sigh. I’ll definitely have to read more Oscar Wilde, people are always recommending his other work. Thanks! Oscar Wilde is a great story maker, i personally prefer the short fiction. This is the first Oscar Wilde I’ve read, I’ll have to give his short fiction a read! Thanks.